Sultan Com-Fit Super High Filtration Fluid Resistant Masks have the highest level of filtration protection that offers 99% efficiency at 0.1 microns. Fluid resistant breathable film forms a moisture barrier that protects the wearer from body fluids. Risks associated with aerosols are reduced. The antifog foam strip keeps glasses from fogging. Also, some masks comes with an optically clear, plastic wrap-around face shield. Provides peripheral protection for the face and eyes against body fluids. Shield is antifog and antistatic. 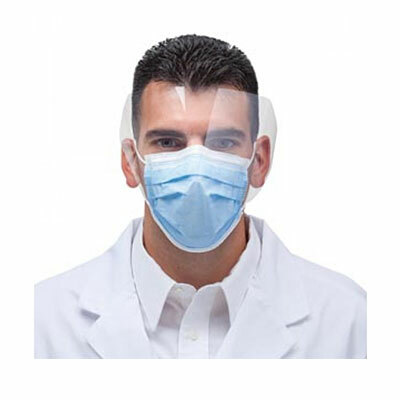 For more information on the Sultan Com-Fit Super High Filtration Fluid Resistant Masks, please visit www.sultanhc.com.